Update: Let the Data Flow! In a classic example of a failure to communicate, the Government Accountability Office rejects the concept of public access as a part of their job and refers us to their handy reading room. Enhancing public access would not cost the agency anything, but would endanger the value of the data they gave Thomson West in exchange for a couple of logins. At the end of the day, neither the government nor the public has a copy of the data we all paid for. 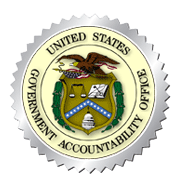 The Government Accountability Office released 10 DVDs of materials, containing 619,481 PDF files. This material has been placed on-line for the public to examine. Even a cursory examination shows how incredibly valuable the Federal Legislative Histories are and what a loss to the U.S. Congress, the legal profession, and the general public it would be lock up this amazing resource created by those talented professionals, the Government Accountability Office legislative historians. As employees of the U.S. Congress, their work benefits us all and should be part of our common pool of public domain resources. In response to the data release by the GAO, we have proposed an unsolicited joint venture which would allow the GAO to ship to us the same materials they shipped to Thomson West. 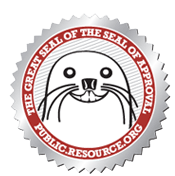 The cost to the GAO would be minimal, and this valuable resource would see the light of day! From Google's book scanning for the University of Michigan to the Government Printing Office request for contractors to scan all their govdocs, the last fad in public sector procurement is the zero-dollar scan deal. The way it works is a corporation does all the scanning for the public institution, and in return the corporation gets some kind of hook, such as exclusive access to the information or other restraints on the public domain. The Government Accountability Office isn't immune from fads, and they cut one of these deals with Thomson West for a particularly juicy plum, the Federal Legislative Histories that GAO has accumulated over the years. These histories contain all the paper trail on bills that have become law: the different versions of the bill, the hearings, the conference reports, and all the other pieces you need if you're trying to interpret a law. How a bill became law, as compiled by the talented law librarians of GAO sure seems like a useful public resource! 04.17.08. Is Third Time the Charm? Public.Resource.Org was alerted to a particularly egregious piece of marketing literature on the Thomson West web site, claiming exclusive access to public domain documents and trumpeting that the government had already done all the work but West had the data. We started by a FOIA request for the contract which was duly delivered, albeit with quite a few redactions. Then, we asked if perchance we could get a copy of the data since it had been digitized? Turns out the government didn't get their own data back, all they got was their paper shipped back to the warehouse and a few timeshare accounts for their staff. The rest of .gov got nothing, as did the public. Buried deep in the paperwork was the fact that GAO had scanned 1.2 million pages themselves before giving away the farm. So, while it isn't what the fancy corporate folks get, our third FOIA request asked if perchance the public could get the table-droppings. Stand by! Bite my mimeograph! No paper for you! Send us your used paper? Answer FOIA Request Number 3 - Yowza! 619,481 PDF Pages! FOIA Request Number 3 - Don't Mean to Be a Pest! Answer to FOIA Request Number 2 - No Data for You! FOIA Request Number 2 - Got Data? FOIA request to determine Thomson pulled off this neat trick. The government did the work, we have the data!